The show's 600 exhibitors included everyone from bigwigs like Northrop Grumman and Lockheed Martin to startups like Bird Aerospace. With everything from self-driving cars to disposable attack planes on display, the scene sounds like it was pretty fun, too. "In the giant hall below, passersby had their body heat invisibly scanned by infrared sensors, were invited to operate simulators to send drones screaming over the Hindu Kush, and watched toy-sized helicopters flutter and take pictures in front of home-sized windows," The Los Angeles Times reports. "Barkers from Ohio, Florida, North Dakota and other states pitched drone testing sites." The real stars of the show are all the wacky new drones, though. While the show's unspoken theme was to ease the public's fears of a drone takeover, exhibitors made it perfectly clear that there's still no shortage of drones on the market: big drones, small drones, red drones, blue drones. Here are some of the highlights. This one barely even looks like a drone, with its windows and doors and whatnot. But the nearly 10-year-old model is fully autonomous and can either be flown by remote control or programmed. As you can see in the photo, it's also armed to the teeth. Here's another mean-looking thing. The Fury 1500 is designed for a broad range of missions and carries enough fuel for long endurance runs. 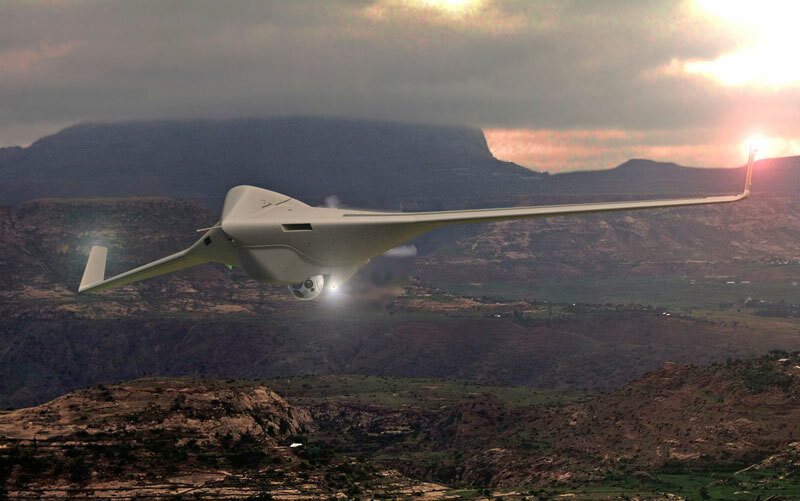 Capable of taking off from a rail launcher, it can fly up to 16,000 feet and carry a payload of up to 125 pounds. Not all drones have to be vicious war machines! The cuddly-looking Nimbus is light, easy-to-fly and perfect for surveillance missions since it's almost completely silent in the air. It's also robust enough to tow a banner in case you want to do a little bit of drone-powered advertising. Okay but seriously, a lot of the drones on display at the show were built for war. This is the Army-favorite Shadow M2. 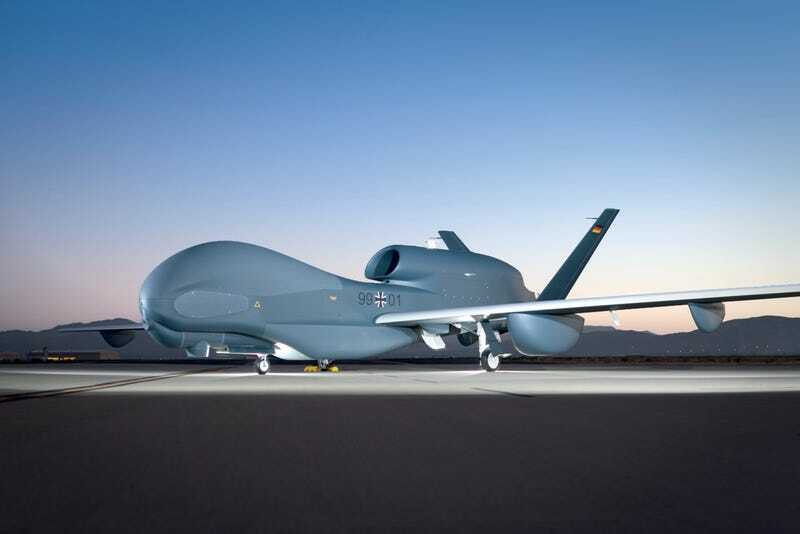 An improved engine brings endurance to the latest model of this 25-foot-wide aircraft up to nine hours, and with dual payload bays, it drops bombs two at a time. Thank goodness another peaceful drone. The Skate is a low-cost, ultra lightweight drone tailored more towards police forces than the military. Even though it's mostly made of styrofoam, it'll still set you back $38,000. It is, however, powered by an ultra cool device that looks like a clunky Wii U controller. This one's pretty cool. Instead of using a rail launcher or runway or some other boring method, you actually fire the Bird's Eye out of a cannon. At first, it's all folded up in an egg-like canister—see what they did there?—and then the drone explodes out of it forming into a big wing. According to the company, it is "the ultimate tool in hostile environments." Then again, aren't all drones?